From the number-one best-selling author of Shatter the Bones and Birthdays for the Dead, a new crime thriller featuring DS Logan McRae. Detective Inspector Logan McRae is finally getting back on his feet after the events of the last few years. Putting things behind him. Getting better.… But it was never going to last. A body turns up on the outskirts of Aberdeen: burned from the neck up, hands chained behind the back. More murders follow - all gruesome, and with only one obvious connection. The similarities between the real-life killings and the plot of a best-selling novel about witchcraft seem more than coincidental, but the more Logan digs the more dangerous and blurred the line between fact and fiction becomes. It’s a small step from police officer to victim. And somebody’s got to take it, or everyone will die. 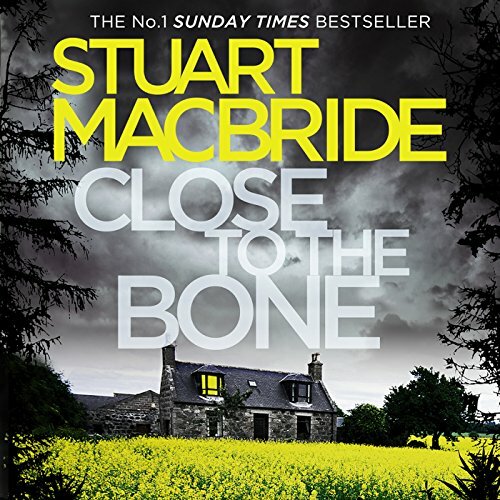 Would you listen to Close to the Bone again? Why? Too much dialogue that respects not have any other purpose than to be funny, where cops whining over savings or officers, as their only purpose seems to be to bring the jokes. I was totally blown away we I realized Samantha was still comatose. He kept you in supense the entire book. Enjoyable story and Steve Worley gave his usual stellar performance. Love the humour and would nominate DCI Roberta Steele as the absolute best supporting character in a book series! cant wait for the next book getting it nw. Couldn't even finish the book. Has Close to the Bone turned you off from other books in this genre? What didn’t you like about Steve Worsley’s performance? Very poor descriptive narrative, other than the blood and guts. Will never buy anything by this author again.